Are you thinking of choosing accounting software for your Business? Or not sure your current accounting systems are up to scratch? We are a small business accounting software specialist wanting to guide you in choosing accounting software right for your business. Whether you are new or an existing business, using software yet or not, let us review your business accounting solution and help you in choosing accounting software. Perhaps you have been using spreadsheets or giving everything to your accountant and simply looking for better ways to use accounting to grow your business. Talk to us. We know and understand choosing accounting software for over 20 years. Profit from our experience and fast track yourself to the right business accounting solution you need. Guide you on if you are ready for choosing accounting software. Deciding whether having accounting software can be tricky, have an expert like us explain your options. We can guide into the right bookkeeping system that suits your needs and budget. Get a quick feature and price comparison of the major accounting softwares. We show your accounting software options and compare their features and prices finding the right accounting software for your business. We teach you the basics of good banking habits and keeping records for your business. We can guide you to choosing the right accounting entity for your circumstance. In changing your accounting systems, it may be a great time to review your trading entity type, whether that is being a Sole trader, Partnership, Trust or Company. We also help you understand the tax and business implications of each. We explain how easily GST can be treated and reported. Ensuring you are ready for how business taxes will affect you and make meeting your tax obligations simple and predictable. We can keep you in good habits early by delivering your monthly reports and nudging you when it is time to keep things up to date. Clearly explain to you what you need to do and we do as your accountants. Giving you management information and having your business performance easy to track so you always know how you are doing and tax provisions are made easier. We establish and setup your software so you have access to the right information from the start. Support and train you on using the software after you have made a decision to adopt an accounting software. Take on board our industry experience and review of your existing accounting systems to see if there is a better software or use the software better. Add a payment service to your invoicing so you get paid faster. Train you on the important features like sending invoices, keeping the bank accounts reconciled, entering transactions, receiving sales payment and sending statements. Have your bank transaction feed set up so you get all the bank transactions appear in your software, making it easy, accurate and faster to do your book-work. Need setting up your payroll? We set this up and guide you on how to run your pay-runs. Your software choice can make paying Super to your employees easier. Let us establish your debtor management to reduce the risk of bad debts. We can also take you through set up your BAS return requirements, so that doing your BAS is hassle-free and tax payable are no surprise. Be your financial adviser on the software so that we can see from our office any transaction or query and quickly guide you on how to treat a tricky transaction or feature. 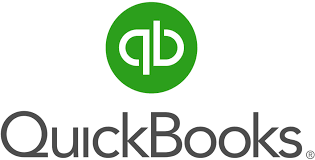 Rather than pay your accountants to book-keep, save time and cost on a faster accounting system. Use your current financial information to get your accountant input to help grow your business. Year end tax returns become much easier as we can access most of the information we need from your software to complete your tax returns. Guide you with keeping records in business. Help you minimise your taxes and understand what you can claim. You get a free invite to our monthly business networking to promote your new business and start getting leads fast. Teach you how to exploit Superannuation in business. Set up properly for accounting for fringe benefits. Looking for a review on how to improve your business performance. Then ask about our business blood test. Answer any other question you may have particular to your circumstance, business or in choosing accounting software. We know you may have many. One of the worst things to do in business in Australia is… like when you watch sport you know the score right? You must not carry on in business without knowing your scoreboard or numbers. You absolutely must know if you are winning or losing currently in your business. In the current tough economic environment one of the worst things to do is to run your business blindly without current financial information to use accounting to grow your business. One of the best things to do in business is…it is good to know how your profit is tracking this month or quarter and have the information to make good strategic decisions to enhance and plan your business growth. Making your business scoreboard effective, simple, efficient can be a powerful foundation to giving you the information you need to grow in any critical stages such as new, growing or maturing business phases. Your accounting system can be fun and easy to run so you have more time to sell and grow your business. Lastly knowing your scoreboard can make business life more motivating and satisfying. Make your accounting more simple and economical in choosing accounting software. To meet us about your general business accounting and taxation visit here. If you are thinking about starting a new business visit here. 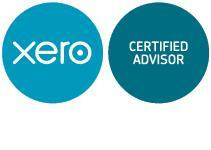 In choosing accounting software, these are the main accounting software we support. We help you in choosing accounting software that suits your needs.